This is an awesome vacation property! This home was perfect! It's on a quiet street and the home has every amenity you could possibly need. It's decorated beautifully and it's obvious the owners take great care of the property. I would recommend this rental to anyone looking for a great vacation on the Cape. It's centrally located and close to the beaches. Whether you're looking for a romantic getaway, or a family vacation, it's just about as good as it gets here! Glad you enjoyed the property, Ginny! Look forward to talking with you again when you get the urge to splurge on another getaway. This was our third year staying at 11 Freeman and we still love it! It's in a great location; quiet, private and perfect for a family. Close to Orleans beaches and all things Orleans. Easy access to the rest of the Cape as well. The house is very clean upon arrival and always with fresh flowers (such a nice touch). Bedrooms are roomy and the beds are comfortable. The Frey's are wonderful hosts. 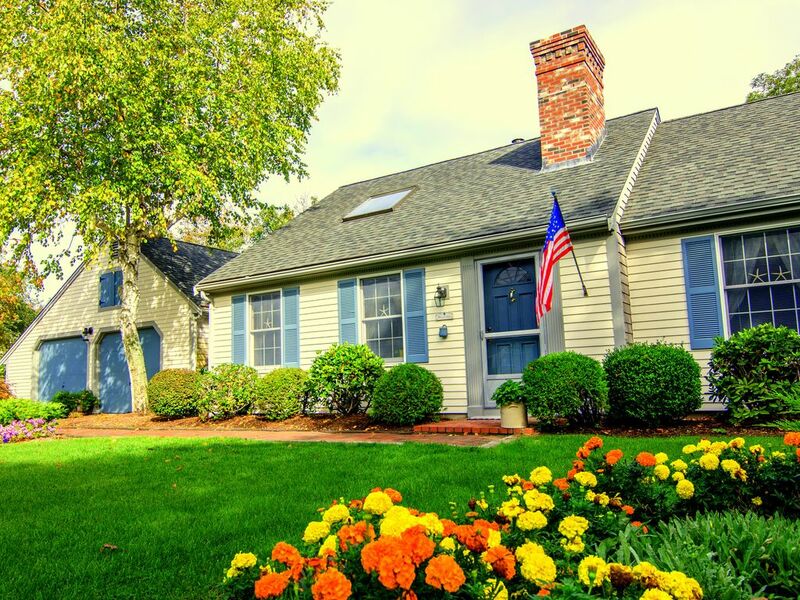 Jacque- Thanks for your warm and thoughtful review of your favorite Cape Cod getaway! We always look forward to your return and the interesting conversations we have about whatever. This year I loved talking to Mike about his extensive collection of Yeti coolers. There will be one in the back of my SUV in the future! This house is in a nice neighborhood and the property and house are very well maintained. The owners Chris and Luima have provided thoughtful touches throughout the house. It was a pleasure to stay there. We're looking forward to another stay. Thanks so much for your complementary review. We loved having you at 11 Freeman Lane and look forward to seeing you again next year! Our family shared a week in this lovely home. 6 adults and a baby were more than comfortable in this air conditioned, roomy house. The addition of a washer and dryer was ideal with a little one. All the stated items were available and of high standards. Christopher even had a baby pool ready for our grandchild. The gardens are spectacular and we even decided that rather than a beach background, we would use the gardens for our formal family portrait. The owners are easy to work with and very hospitable. Perfect home for a relaxing vacation! It's with some reluctance that I write this review. I want to keep this place my secret because the more who know about it, the harder it will be to get for our summer vacations. But in fairness to the Frey's, I want to tell you that this is a real find among summer vacation homes on the Cape. It' simply gorgeous, well equipped, nicely located, and someplace you'll want to stay all year long. It's a perfect size for my wife and me, but large enough if one of the kids came with his or her family. Everything is top quality, from the appliances, to the furnishings, to the great Weber grill on the deck. And the bird feeder outside the kitchen window gives the place a nice touch. Lastly, Chris is always quick to respond to questions that come up by email, text, or phone--nice to know. We'll be coming here again. We would like to thank you for your glowing review of 11 Freeman Lane! It means so much to us to hear that our preparations for your arrival were well received. Looking forward to talking about cars and clams again next season! We truly enjoyed our stay. Have been renting homes in the Eastham/Orleans area for years and very few have central A/C, which was a welcomed treat! Also, most rentals require the tenant to bring their own sheets/towels and here the same was provided by the Owner. The house was a great size, very roomy. The flowers and the rest of the property were beautiful and so well maintained. Convenient to Orleans Center but more importantly to one of the most beautiful beaches around - Nauset. We just knew that you loved Freeman Lane by the way you left it...perfectly clean and neat. Your family put a lot of thought into that. I enjoyed our conversation out on the front walk, Donna. We do hope that you can make it back next season!